Bidet Control Devices: Wireless Remote or Side Panel - Which Is Best? Of course, the title is misleading. There's no universal answer to which bidet control device is best. It depends on too many personal circumstances. What we can do is outline the pros and cons of each. That will make it a lot easier to decide - for you and your family - which is best. A “wireless remote” doesn’t need much definition. They’re familiar from your TV, stereo, and lots of other products. But many bidets offer one, too. The functions generally cover everything the bidet can do. 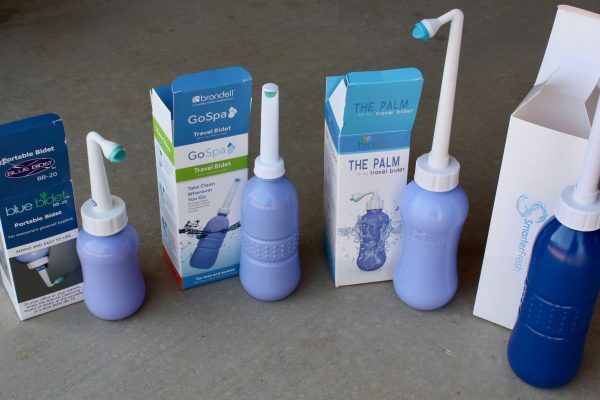 That encompasses everything from the basics – posterior cleansing, feminine hygiene, warm air dry, and more – to more sophisticated features like setting a heating timer, adjusting temperature and pressure, and the like. In a few cases – power on / off or emergency operation during a power outage, for example – there might be controls right on the bidet that aren’t on the remote. But that’s rare. 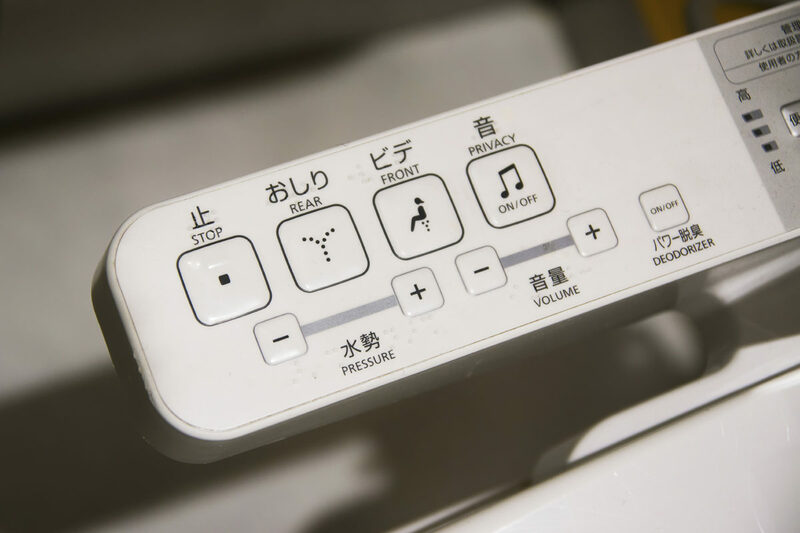 Likewise, “side panel” is pretty much what it sounds like: a control panel physically attached to the side of the bidet. That generally means “attached to the seat”. It’s hard to attach things to a porcelain bowl, and usually there’s no reason to try. In a few models, the attached side panel is removable to become a handheld remote control unit. The best of both worlds, but of course you pay a premium for that. Here’s where things get more complicated, because one woman’s pro is often another mans’ con. I’ll try to lay it out and you decide. At first glance, it might seem that a wireless remote is always best. Why would anyone want a control panel they couldn’t move? Where’s the downside to a handheld unit? Well, there’s the rub. You have to hold it. For some people that’s not so easy to do. Arthritis, surgery, and other physical limitations can make it tough to balance, squeeze, and operate a remote control. Also, because the screen is often an LCD, it can be hard to make out the icons. An array of buttons in black “electronic ink” can be hard to make out and the text hard to read. If there’s a menu, it can get even more difficult for some people. Remote control units are rarely laid out like your TV remote or the menus on your cell phone. They’re unfamiliar. You’d expect that, since the functions are so different from the TV or phone, but even so it can be hard to learn. The instructions are sometimes not much help. The side panel can present the same difficulty, but the icons are usually larger, simpler, and fewer. And they’re typically etched onto largish buttons in color. Easier to read, easier to memorize. Less time spent with the instructions or operator’s guide. Then too, a remote control unit can “walk away”. One day it’s in the bathroom and the next it’s who knows where. It’s less often a problem than you might guess, based on manufacturers’ studies, but it happens – especially in homes with young children. On the other hand, a remote control unit is almost always accompanied by a wall mount bracket. You can usually attach it to the rear wall or a wood cabinet near the bidet. That keeps it within easy reach and lowers the odds of it disappearing. Not always true – some bathrooms don’t have the space or a convenient wall surface material to do that – but it’s typically the case. A side control panel eliminates that problem, if it exists. Even when it doesn’t, it eliminates the need to grab a remote; the panel is always there within reach. And, adding to the upside, there’s never any batteries to worry about with an attached side panel. As I already mentioned, the icons are usually larger, colored, and therefore easier to see. However, since the panel is attached, you might have a problem. If your vision isn’t such that you can read them from 2-3 feet above the seat you have to go by feel. Because the panel can’t be removed, attached bidet seats take up more space in the area reserved for the bidet or toilet. Most bathrooms will have a few inches to the side to accommodate one, but not all. As a matter of style, a fair number of potential buyers just don’t like the looks of that panel sticking out the side. A percentage of them might find it lends an interesting high-tech appearance to a mundane bathroom appliance. But they’re probably in the minority. As a practical matter, there’s a higher risk of accidentally banging and damaging the side panel if you sweep your hand past it or press down too hard. They’re pretty sturdy, but they could be broken off the seat, occasionally. They are a separate component in the manufacturing process, after all. Rare, and unlikely, but something to consider. The pros and cons of each type of control are detailed, but there’s one aspect that has nothing to do with the devices themselves. It’s simply a fact that most higher-end bidet models offer a remote control unit. Those with side panels tend to have fewer features. But they’re also correspondingly less expensive, on average. Let’s call it a tie. The conclusion will surprise no one. What’s best for one home is not ideal for another. Look at the specific bidet model you like best and only then consider the “remote vs side panel” issue. Often, you can find the exact same features on two different models, and the only difference is the control method. Win-win!